This has been a productive time for paleontologists. From Argentina, a dinosaur hot spot in recent years, comes news of what may be one of the most primitive of theropods, Eodromaeus ("dawn runner") murphi (see illustration at left). This scrawny four-foot-long critter lived in the Triassic Period, about 230 million years ago, when dinosaurs were just beginning to emerge, and before they attained the dominance they would enjoy in the succeeding Jurassic and Cretaceous Periods. Eodromaeus is early in a family tree that would later branch to include such diverse progeny as T. Rex and Tweety Bird. Read more about it in this PBS Newshour story. Utah, long a preeminent source of dinosaur fossils, produced eight new species (see this Deseret News article) in 2010. One of these, Seitaad ruessi, named for a Navajo legendary sand demon because its fossils were found in petrified sand, is a small, early member of the sauropod group, the familiar long-necked herbivores that evolved into giants like Apatosaurus. Another, Abydosaurus mcintoshi, is a later, larger sauropod. Two are iguanadonts, bipedal herbivores that are relatives of Iguanadon, the second dinosaur ever to be described and named. One, Hippodraco ("horse dragon") scutodens, is relatively small for this group, while the other. Iguanacolossus fortis, as its name proclaims, is massive (See their comparative sizes, and read more about them, in this Open Source Paleontologist article). Three, Diabloceratops eatoni, Utahceratops gettyi, and Kosmoceratops richardsoni, are ceratopsians; horned dinosaurs similar to Triceratops. Only one is a carnivorous theropod: Geminiraptor suarezarum. This dinosaur got its name, which means "twin predatory thief of the Suarezes", in honor of the twin sisters Marina and Selina Suarez, both graduate students at Temple University, who studied the geology of the area where the fossils were found (see this Environment News Service article). 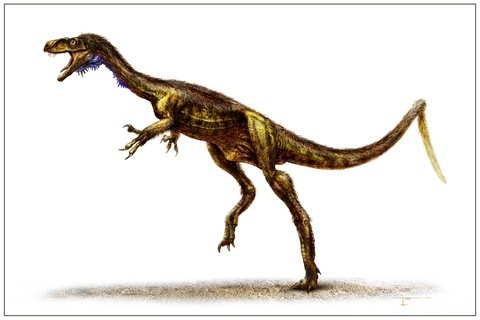 Geminiraptor is an early troodontid, a group of small, agile predators related to Velociraptor. Now, from paleontology to archaeology and anthropology, and to one of my favorite topics: wine. I've posted before about the role of alcoholic beverages in the development of civilizations. This Washington Post article reports the discovery of the remains of "a surprisingly advanced winemaking operation" that dates to about 6,000 years ago, located in a cave near an Armenian village. As Slate notes: "It gives 'mis en bouteille dans nos caves' a literal flavor". There’s another reason why you should love your enemies, and that is because hate distorts the personality of the hater. We usually think of what hate does for the individual hated or the individuals hated or the groups hated. But it is even more tragic, it is even more ruinous and injurious to the individual who hates. You just begin hating somebody, and you will begin to do irrational things. You can’t see straight when you hate. You can’t walk straight when you hate. You can’t stand upright. Your vision is distorted. There is nothing more tragic than to see an individual whose heart is filled with hate. He comes to the point that he becomes a pathological case. For the person who hates, you can stand up and see a person and that person can be beautiful, and you will call them ugly. For the person who hates, the beautiful becomes ugly and the ugly becomes beautiful. For the person who hates, the good becomes bad and the bad becomes good. For the person who hates, the true becomes false and the false becomes true. That’s what hate does. You can’t see right. The symbol of objectivity is lost. Hate destroys the very structure of the personality of the hater. So this morning, as I look into your eyes, and into the eyes of all of my brothers in Alabama and all over America and over the world, I say to you, "I love you. I would rather die than hate you." And I’m foolish enough to believe that through the power of this love somewhere, men of the most recalcitrant bent will be transformed. 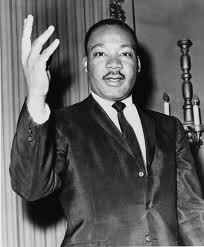 See the complete sermon at Martin Luther King Online. Thanks to the Rev. Steven Paulikas, Assistant to the Rector, Grace Church, Brooklyn, for citing this in his sermon this morning.